В г. Павлодар 7 октября 2015 года состоится Международный Инвестиционный форум «Ертіс Инвест – 2015». В этом году принимающей площадкой станет Павлодарский государственный университет им. С. Торайгырова. Выбор площадки указывает на основную тему – наука и инновации как основа для индустриального развития. Главной целью форума является презентация инвестиционных возможностей Павлодарской области, продемонстрировать научно-технический потенциал местных университетов и институтов. ASTANA, September 10 – During September and October, Kazakhstan will celebrate the 550th anniversary of the formation of the Kazakh Khanate. The Khanate, which has existed from 1465 into the early 18th century, is considered to have played an important role in the emergence of a Kazakh nation. The foundation date is known from the study known as Tarikh-i-Rashidi authored by a 16th century Central Asian historian Mirza Muhammad Haidar Dughlat. A number of events will take place in Kazakhstan during this period to mark the occasion. Am Freitag 18.September 2015 um 19.30 findet in der Kirche Unterstrass ein Kammermusikkonzert statt (Eintritt frei, Kollekte). Britische Pianistin Sophia Rahman und Zwillingsgeschwister aus Kasachstan Bota Tynybekova (Violine) und Bulat Tynybekov (Violoncello) werden Meisterwerke von Beethoven, Brahms, Mendelssohn und Schubert aufführen. ASTANA – On 27 August, 2015, the government of Kazakhstan will sign an agreement with the International Atomic Energy Agency (IAEA) on establishing an international low-enriched uranium (LEU) bank in the country in 2017. The ceremony will take place in Astana and will be attended by delegates from countries that have supported the project, including the five permanent members of UN Security Council (China, France, Russia, UK, US), EU, Norway, Kuwait, the UAE. Following consultations with the leaders of the Senate, the Mazhilis of the Parliament, the Prime Minister and the Chairman of the Constitutional Council of Kazakhstan, President Nursultan Nazarbayev announced that the early presidential election will be held on 26 April 2015. 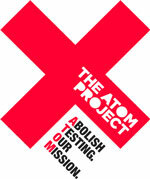 Most political parties, as well as 18 nation-wide public associations, have voiced their support for this decision. В соответствии с Указом Главы государства № 1018 от 25 февраля 2015 года на 26 апреля 2015 года назначены внеочередные выборы Президента Республики Казахстан. Согласно статье 23 Конституционного закона РК «О выборах в Республике Казахстан» при загранучреждениях РК образовано 65 участковых избирательных комиссий. Dear representatives of the mass media! 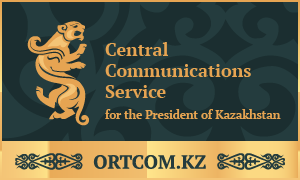 We announce that since the February 27, 2015 the accreditation of journalists to participate in the coverage of early elections of the President of the Republic of Kazakhstan appointed on April 26 this year has opened. On the 28-29-th of August Ambassador of the Republic of Kazakhstan to the Swiss Confederation M.Tleuberdi made an official visit to the Canton of Ticino. During meetings the officials and business community of the canton were informed on the main directions of the socio-economic and political development of Kazakhstan and the President’s Address «Kazakhstan’s way — 2050». Cantonal authorities and entrepreneurs were also informed about the official invitation to Switzerland to participate at the International specialized exhibition EXPO 2017 in Astana. On 1 August 2014 the Decree of the President of the Republic of Kazakhstan “On calling regular election of deputies of the Senate of Parliament of the Republic of Kazakhstan on 1 October 2014” has been published. On the same day in the Central Communications Service at the President of the Republic of Kazakhstan the press-conference of the Central Election Commission of the Republic of Kazakhstan, where the Chairman and members of the CEC told about preparation to the upcoming election campaign, was held. Joint press release of the Embassies of Belorussia, Kazakhstan and Russia on the occasion of signing agreement establishing the Eurasian Economic Union. On 29 May 2014, the leaders of Belarus, Kazakhstan and Russia met in Astana (Kazakhstan) to sign the agreement establishing the Eurasian Economic Union (EEU). The treaty on the establishment of the Eurasian Economic Union, which should come into force on January 1, 2015, has been signed by Presidents of Kazakhstan, Russia and Belarus at a meeting of the Supreme Eurasian Economic Council at the Palace of Independence in Astana. Alexander Lukashenko, Nursultan Nazarbayev and Vladimir Putin signed the treaty in the presence of members of the public of the three countries. The Kazakhstan Journalists’ Union, in partnership with the Ministry of Foreign Affairs of Kazakhstan, has announced a contest for foreign journalists reporting on the country entitled “Kazakhstan in the Eyes of Foreign Media”. On May 15-16, 2014, Corporate Fund “Information Communications Development Fund” of Kazakhstan, chaired by Silicon Valley innovator Sanzhar Ketebekov will hold an international exhibition and conference ASTEX-2014 in the frame of the VII Astana Economic Forum. The event will bring together eminent foreign speakers: heads of foreign companies, large investors, business coaches, professors, e-commerce businessmen and analysts. Ministry of Justice of the Republic of Kazakhstan organizes “Anti counterfeiting” International Forum which will be held on the 21st of May 2014 in the Palace of Independence in Astana. The Foreign Policy Concept of the Republic of Kazakhstan (hereinafter – the Concept) has been developed based on the directions, set forth in the Strategy Kazakhstan-2050 Address to the people of Kazakhstan by President of the Republic of Kazakhstan (hereinafter – Strategy 2050). This strategy represents a system of fundamental views on the principles, approaches, aims, priorities and tasks of foreign policy for the Republic of Kazakhstan. The head of state pointed out that the World Economic Forum was a platform for exchange of opinions on the state of affairs in the world economy and prospects for its development. In the course of the meeting the President of Kazakhstan thanked for the welcome and emphasised the high level of organisation of the World Economic Forum. The leaders of the two states discussed the key aspects of the Kazakh-Swiss relations, prospects of their further development, as well as the issues of the international agenda. The prospects f strengthening of cooperation, as well as topical issues of the international agenda were discussed at the meeting. The President of Kazakhstan noted that the European Union is our country’s important trading and investment partner. Regular high-level talks make significant contribution to systematic development of our relations. In this regard, the meeting stressed the importance of the work being done within the framework of the EU’s Strategy in Central Asia. The topical issues of the international agenda, including the situation in the Middle East and Central Asia were discussed in the course of the meeting. Moreover, Nursultan Nazarbayev and Tony Blair touched upon the main aspects of the “Kazakhstan-2050” Strategy, as well as the issues of its effective implementation. The issues on current activities of the company in Kazakhstan were discussed at the meeting. President Nazarbayev and Lakshmi Mittal reviewed the aspects of the company’s participation in the development of the metallurgical sector of Kazakhstan, as well as activities of ArcelorMittal Temirtau Company and implementation of various investment and social projects. A year ago I announced the new political course for Kazakhstan until 2050.The main goal is to join the group of 30 most developed countries.This project is called “Eternal Kazakhstan”. It is a mature vision of a new era in the history of our country. Over the last 22 years Kazakhstan has accomplished a great deal. We have created our own successful model of development. Every citizen is immensely proud of their country. They have faith in tomorrow and believe in the future of Kazakhstan. 97 percent of our citizens recognize the stability of their social-economic condition and its continuous improvement year to year. Exhibition company “ExpoDamu” invites you to take part in the Seventh Eurasian International exhibition “Цветы Flowers Almaty”, which will take place, from 24 to 26 of April 2014 in Almaty (Kazakhstan), “Atakent” Exhibition Centre. The exhibition will be held under the patronage of the Ministry of Agriculture of the Republic of Kazakhstan; the Ministry of Industry and New Technologies of the Republic of Kazakhstan; JSC “NUKhKazAgro”; the Akimat of Almaty. The results of a new opinion poll conducted in Kazakhstan, commissioned by the country’s Ministry of Foreign Affairs and carried out by UK-based opinion research firm Ipsos MORI, have been released by the Kazakh Foreign Minister, H.E. Erlan Idrissov today, on the eve of his working visit to London during which he will hold meetings with the Foreign Secretary, The Rt. Hon. William Hague MP, and Chairman of Foreign Affairs Committee The Rt. Hon. Richard Ottaway MP, and speak at the Royal Institute of International Affairs at Chatham House. During the meeting, the parties discussed bilateral inter-parliamentary relations, as well as cooperation in the sphere of new technologies, energy and interaction within the framework of the international organizations. The President noted that this is the first visit of Filippo Lombardi to Kazakhstan, which is given a great importance. UN Secretary-General Ban Ki-moon in a personal letter addressed to Kassym-Jomart Tokayev congratulated him on election as Speaker of the Senate of the Parliament of Kazakhstan and thanked him for the fruitful work in the position of the UN Under-Secretary-General, Director-General of the UN Office at Geneva. Today the International Board of the Extractive Industries Transparency Initiative (EITI) gathered for meeting in Abidjan city (Cote d’Ivoire), where the compliance of the Republic Kazakhstan to EITI standards was considered. This issue has been considered by EITI International Secretariat and Board since 15, August this year. The world premiere of the theater “Astana Opera” – the main event of the new season, not only in Kazakhstan but also in the world of opera culture. During 4 days the world stars will perform on the stage of the main theater of the country. On November 8th of 2013 the Ministry of Environmental Protection and Administration of South Kazakhstan oblast hold an “International Investment Forum ” on Green Economy “, in the city of Shymkent. The Forum offers great opportunities for dialogues between the leading experts of the “green economy” at the international level, for the discussion of the role of regions in the transition of Kazakhstan to the “green economy”, as well as the experience of foreign countries in the development and implementation of strategies for the creation of the “green economy ” and innovations in the development of the “green economy”, introduced in Kazakhstan and abroad. One of the important topics of the forum will be the role of regions in the exhibition “ASTANA EXPO2017”. On September 24, Kazakhstan’s Foreign Minister Erlan Idrissov attended opening of the General Political Debates and High-Level Forum on Sustainable Development of the 68th session of the UN General Assembly. On the sidelines of the General Assembly session, Erlan Idrissov held a meeting with the Emir of Qatar Sheikh Tamim bin Hamad bin Khalifa Al Thani, and discussed a wide range of bilateral cooperation issues. Minister Idrissov emphasized the great potential for trade and economic cooperation between the two countries and invited Qatar to participate in investment projects in Kazakhstan’s agriculture, livestock, oil and gas, mining, infrastructure and transport. On September 18, Kazakhstan’s delegation led by Rapil Zhoshybayev, First Deputy Minister of Foreign Affairs of the Republic of Kazakhstan – Commissioner of the International specialized exhibition “EXPO-2017” attended the “Macau 2013” Global Tourism Economy Forum. The event titled “Regenerate Our Economies: Invest in Travel and Tourism” was aimed at identifying the most important issues of investment in the field of tourism and travel, as well as promoting economic development of the current global economic state. Kazakhstan once again strongly condemns the act of the use of chemical weapons in Syria as confirmed by the findings of an independent investigation by the UN Mission and regards it as a crime against humanity. We support the adoption of a UN Security Council resolution on Syria that would stipulate strict compliance to a concerted decision on the elimination of chemical weapons in this country and the conduct of regular inspections of this process. 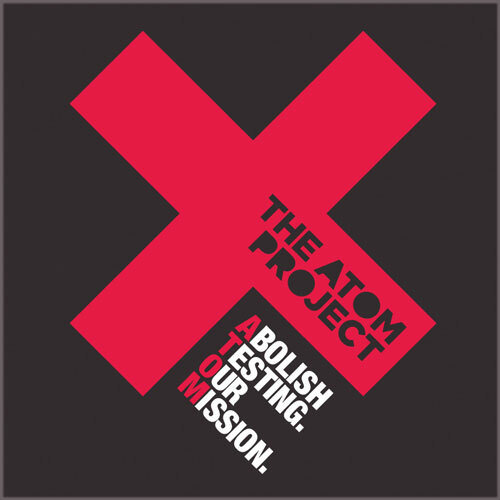 August 29 marks the UN International Day Against Nuclear Tests and is a timely reminder of the need to maintain international efforts to continue nuclear disarmament. The ultimate goal of this process should be to rid the world of its Cold War legacy of nuclear weapons and the outdated psychology of nuclear deterrence that underpins their continuing existence. This is part of a vicious circle that makes countries with nuclear weapons want to hold on to them and, in some cases, motivates those without them to want to become nuclear powers. The 6th Astana Economic Forum and the World Anti-Crisis Conference have taken place in Astana on 22-24 May 2013, bringing together about 12 thousand participants from 132 countries, 35 current and former ministers, 10 Nobel Laureates and more than 40 heads of international organizations, corporations and businesses. More than 70 major media outlets and 853 journalists were accredited for the event. As a result of the Forum, its participants, especially business sector representatives, were able to sign about 80 agreements and memorandums totaling more than 2.7 billion U.S. dollars, as well as the Astana Declaration. «During the meeting the leaders of Kazakhstan and the UK has discussed the issues of bilateral cooperation, regional security and international issues and reviewed the key aspects of the further intensification of trade and economic cooperation between the two countries,» the statement said. In addition, the implementation of the agreements, reached during the state visit of David Cameron to Kazakhstan, has been reviewed during the meeting. Welcome to the hospitable capital of Kazakhstan! Astana Economic Forum has been held for 5 years now. The Forum turned into a special dialogue platform in terms of both shape and content. First, the 67th session of the UN General Assembly has supported the targeted mission of the Forum – to develop a Global Anti-Crisis Plan. Along with the VI Forum, we are hosting a World Anti-Crisis Conference under the UN auspices for the first time ever. Over 100 countries are represented at the Conference. I wholeheartedly welcome its participants and thank the leadership of the UN and its entities for their support. Second, over these five years, the number of participants and nations represented at the Forum has significantly grown. Ақорда резиденциясындағы менің жұмыс кабинетімнен біздің жаңа елордамыздың жүрек толқытар панорамасы көрініс береді. Көптеген кездесулерден, кеңестерден және құжаттармен жұмыстан тұратын тығыз жұмыс кестемде бос минут пайда болған сәтте мен қайта-қайта терезеге қараймын. Мен кең дала төсімен есіле ағып жатқан Есілдің бүлкілсіз суы бетіне қазақстандық күннің қалай сәуле шашып шағылысқанын көремін. Ол қала шегіндегі адам қолымен жасалған жаңа өзен арнасы суында шомылып жүреді. The basis for the creation of Nazarbayev University Science Park (hereinafter — the Park) is a commission of the president of the Republic of Kazakhstan Nursultan Nazarbayev, in a lecture given at Nazarbayev University on September 5th , 2012. The President has previously voiced the idea of creating intelligent and innovative clusters in his address to the nation on January 27, 2012. The cluster includes following elements: science parks, commercialization centers, industrial parks, venture capital funds and etc. Wöchentliche Online-Publikationen des Außenministeriums der Republik Kasachstan. The Delphic Games – are complex events that bring together all the arts (visual, performing, applied, verbal, social, environmental). The Games are an effective tool for the preservation of cultural heritage, discovery and support of young talents, aesthetic education of the younger generation with the spiritual formation of personality, promotion of intercultural dialogue and development of cultural diversity. Legislators and governments have a responsibility to protect the security of citizens living within their jurisdictions and to protect their respective localities and the global commons for future generations. The catastrophic humanitarian and environmental consequences from the nuclear tests in Semipalatinsk, Kazakhstan – and from other nuclear test sites around the world – demonstrate that the effects of any use of nuclear weapons are uncontrollable in time and space. The possession of nuclear weapons generates a threat of their proliferation and use that pose risks to current and future generations that are unacceptable, unnecessary, unsustainable and contrary to basic ethical considerations and international humanitarian law. Kasachstan – der neuntgrösste Staat der Erde. Geografie, Geschichte, Völker, Kultur und Musik. Kasachstan ist ein Land im Herzen Eurasiens, wo die Vergangenheit mit der Zukunft und östliche Traditionen mit westlichen zusammentreffen. Mit rund 130 Nationalitäten hat Kasachstan eine vielseitige Geschichte und Kultur. Das Land ist landschaftlich abwechslungsreich: Hochgebirge, Steppe, sibirische Nadelwälder, Wiesen und Küstenlandschaften. Der Anlass findet im Park Hyatt Hotel Zürich, Beethovenstrasse 21, 8002 Zürich statt. Administration of Astana city invites you to take participation in the III International Investment Forum «Astana Invest 2012» that will be held within the framework of the V Astana Economic Forum on May 24, 2012 at the Palace of Independence with support of Government of Republic of Kazakhstan. Dear Ambassadors, Heads of the diplomatic missions! We are holding our traditional meeting in the jubilee year for Kazakhstan’s foreign policy. Today, we mark the 20th anniversary of our country’s accession to the United Nations. In January, we celebrated the 20th anniversary of establishing diplomatic relations with the Peoples’ Republic of China, Great Britain and France, in February with Germany and in March with Turkey. So, every month of this year we mark anniversaries of relations with all countries of the world, who now have a relationship with our nation. A press conference is scheduled for Wednesday, February 25th, 2012 at 10.30 am at «Eurasian Economic Club of Scientists» Association for official launch of a «G-Global» communication platform. In 15 December, 2011 Nursultan Nazarbayev, the President of the Republic of Kazakhstan suggested the world to create a communication platform “G-global” in his speech at the formal meeting timed to the 20th anniversary of Kazakhstan’s independence. “So far nobody has suggested a global anti-crisis plan that would to be acceptable for everyone. Unfortunately, G-20 and G-8 are demonstrating inefficiency of the global anti-crisis approach. I suggest to expand the number of participants searching for anti-crisis solutions for the world. 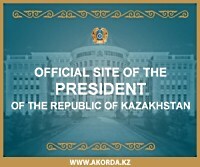 I suggest calling this new communication platform G-global,” the Kazakhstan’s President pointed out in his speech. In this regard, on 12 January, 2012 «Eurasian Economic Club of Scientists» Association has started a unique virtual project “G-global” communication platform, which operates at www.g-global.aef.kz. «G-Global» – an international virtual project based on the annual Astana Economic Forum, aimed at discussion and development of mechanisms to overcome the global financial crisis. For now, «G-Global» platform brings together more than 10,000 participants from 128 countries, which unites various groups of the world economy. This press conference will feature representatives of government officials, NGOs, research and business organizations, media, as well as foreign community of experts from member countries of the «Eurasian Economic Club of Scientists” Association. The conference call will be a chance to get a briefing from the Coordination Council of EECSA about “G-global” initiative, foreign and local mass media, as well as foreign experts from Russia, Estonia, Tajikistan and Azerbaijan. The EECSA press conference program information will be available soon at www.aef.kz. Dear deputies and members of the Government! Kazakhstan has bravely entered the third decade of independence. The new Parliament and reshuffled Government have begun their work. In 2011, the country’s economy grew by 7.5 per cent. The gross domestic product per capita exceeded 11,000 USD. A substantial part of previously sold assets has been returned to state ownership. Now key assets of the “Bogatyr”, Karachaganak, Kashagan fields, ENRC and “Kazakhmys” companies will be in state possession. In the past I said “We sell according to the situation, and now it’s time to privatize, but we will return it in proper time”. The host country provides a Press Center and Press Conference Hall on February 26 and 27 for all accredited media. The Press Center will be available from 8.00 till 24.00 at Astana Hall of the Hotel Intercontinental Almaty and will be equipped by six large split-boxes (24 sockets each). Each split-box will be tuned in for the floor language (12 plugs). Since the talks will be held at a separate venue, the media will be intermittently briefed at the Press Conference Hall (Hotel Intercontinental Almaty). The final press conference after the talks are completed will be held at the same hall. On February 26-27, lunches for the media will be provided at the Press Center as hospitality of the hosting country. Access to the Press Centre and Press Conference Hall will be limited to holders of “PRESS” badge issued by the Foreign Ministry of Kazakhstan. All attending media representatives should fill out a media accreditation form and email to pressa.mfa@gmail.com. All application forms to be submitted by 18.00 on February 22, 2013. The “PRESS” badges will be available for collection from 09.00 till 18.00 on February 25 and from 09.00 till 11.00 on February 26 at the Hotel Intercontinental Almaty. Please note that collection will be subject to passport verification. All accredited media representatives will be entitled to a visa support by the Foreign Ministry of Kazakhstan. After submission of the media accreditation forms please contact the nearest Kazakhstan Diplomatic Mission in order apply for a visa. In case of unavailability of Kazakhstan Diplomatic Mission in your country, visas will be issued upon arrival to Almaty International Airport according to the previously submitted media accreditation forms. Please have the Visa Application Form filled up with a passport size photo attached. If duration of your stay in Kazakhstan exceeds 5 days, you should register with the Migration Police within 5 days after the entry into Kazakhstan (please check with your Hotel). Those who registered at arrival at the International Airport (at a border checkpoint), do not need to register. Royal Tulip Almaty – to be updated soon. Please be advised that the accreditation for foreign media representatives planning to visit the Republic of Kazakhstan to cover the next round of talks on Iran’s nuclear program in Almaty is open from February 12, 2013. All media representatives involved in covering this event should send their filled in application forms to the Press Service of the Ministry of Foreign Affairs at pressa.mfa@gmail.com. The application form should be sent no later than February 22, 2013. Accreditation will proceed as per the application form. Media representatives will be allowed access to media events and the press-centre in accordance with the PRESS badge issued by the Foreign Ministry. PLEASE NOTE! Deadline to apply for accreditation is February 22, 2013. All accredited media representatives will be entitled to visa support from the Foreign Ministry. If there is no Kazakhstan diplomatic mission in your country of origin, visas will be issued upon arrival to Almaty airport according to previously submitted accreditation forms of participants. Information on the event’s press center and accommodation advice are to follow shortly. In Vatican yesterday, Kairat Mami- Kazakhstan Senate speaker and head of the Secretariat of the World Religious Leaders’ Congress had an audience with Pope Benedict XVI. This visit of Kazakhstan delegation to Vatican is timed to the10th anniversary of N.Nazarbayev’s initiative to convene the Congress of Leaders of World and Traditional Religions, which has become an essential constituent of dialogue between religions and cultures in the modern world. Im Dezember dieses Jahres würdigen Kasachstan und die USA den 20. Jahrestag des Programms „Gemeinsame Bedrohungsverminderung“ (Nunn-Lugar Cooperative Threat Reduction Program, CTR), bekannt auch als Nunn-Lugar Programm. Today we have gathered on the eve of our Independence Day. It has been more than 20 years since we started to proudly celebrate this great holiday. On December 16, 1991 we, the people of Kazakhstan, chose sovereignty, freedom and openness to the world as our founding principles. Today these values have become a part of our daily life. Wie Sie wissen, hat Kasachstan das Recht erlangen, mit Astana Gastgeber für die Internationale Messe EXPO-2017 zu werden. Wir haben bei einem starken Anwärter – belgische Stadt Lüttich – gewonnen, die bereits Erfahrung mit diesem internationalen Forum gemacht hat. Es ist ein großer Erfolg für Kasachstan. ОЮЛ «Ассоциация «Евразийский экономический клуб ученых» объявляет о запуске новой версии коммуникативной площадки G-Global 1 ноября текущего года, в связи с проведенной кампанией ребрендинга с участием главного спонсора проекта АО «Казахтелеком». Как сообщается, концепция дизайна нового портала основана на трёх принципах удобства работы в интернете: навигации, персонализации и минимализме. Internationales Forum wird die Rolle des Präsidenten Nazarbayev beim Werdegang und der Entwicklung von unabhängigem Kasachstan widerspiegeln. Am 29. November 2012 hat an der Nazarbayev University in Astana Internationales Forum „Die Ersten Nazarbayev-Lesungen – „Neues Kasachstan in der neuen Welt“ stattgefunden. Astana, 20th September: On the International Day of Peace on Friday, September 21st, the United Nations Educational, Scientific & Cultural Organization (UNESCO), in cooperation with the Government of Kazakhstan, is organizing a high-level debate on the culture of peace and non-violence at the UN HQ in New York.